Ever since puberty, the texture of my hair has resembled that of curly straw. And as I’ve gotten older—and, let’s face it, grayer—it’s only gotten drier, particularly in the arid winter months. I happily volunteered to embark on a month-long quest for lustrous, supermoisturized locks. My first stop was eco­friendly beauty boutique Fig & Flower. 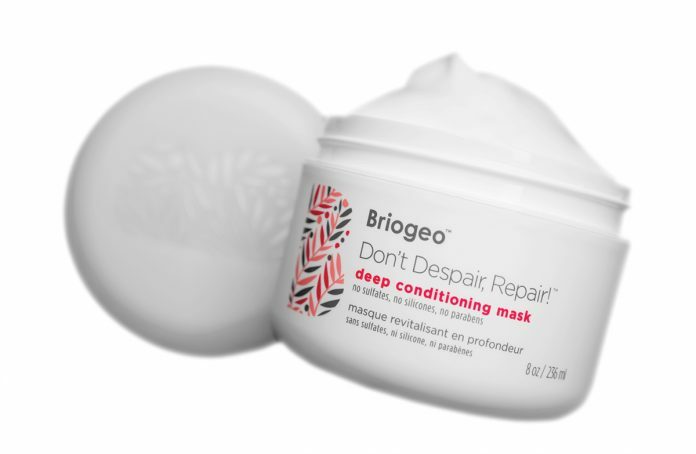 The owner, Sara Lamond, suggested a Briogeo deep-conditioning hair mask (pictured above), applied at home in the shower. It softened my hair, but the effects only lasted through my next shampoo. It was time to call the pros. I booked an appointment at Helmet, where a stylist massaged a deep conditioner (Aveda Dry Remedy Penetrating Moisture) into my hair, then wrapped it in a toasty warm towel for 10 minutes ($65). Afterward, I noticed a slight difference in shine for a week. Next up, I tried Barron’s London Salon in Buckhead, which customizes its treatment for each client. The stylist chose a leave-in conditioner from Eufora for me. After a spin under a rotating heat lamp and a blow dry ($70), my hair felt silkier. Days later my coworkers were still commenting on how shiny it was. The salon recommended repeating the treatment every three to four weeks. But at $70, I think I’ll try to mimic the results at home, using the Briogeo mask, a shower cap, and a hair dryer.